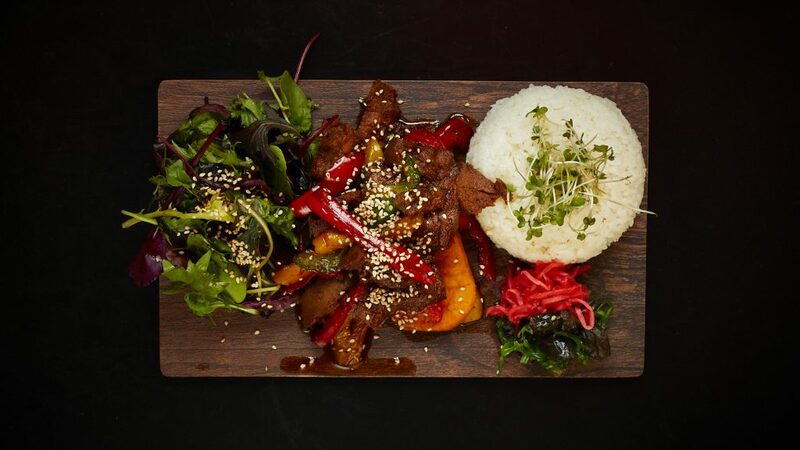 At Moshimo we’re proud to offer the best vegetarian and vegan Japanese cuisine in Brighton & Hove. 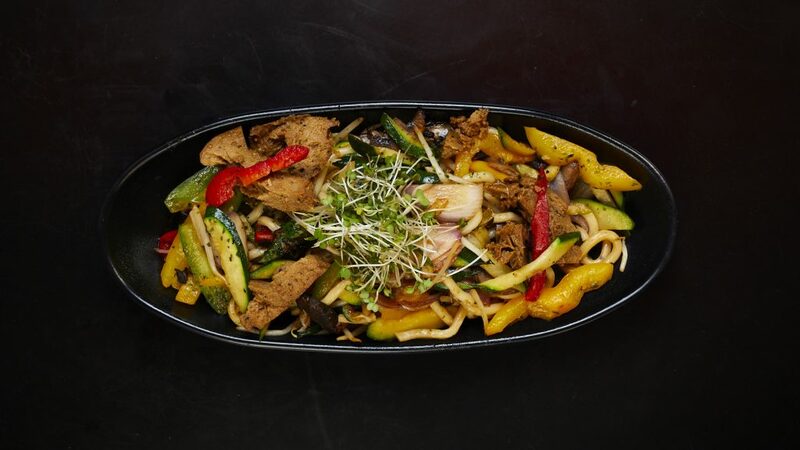 We’re famous for the work we have done to promote food sustainability, and so our vegan menu isn’t just a sideline option – it’s fully integrated into our main menu and makes up a large proportion of all the food we make at Moshimo. 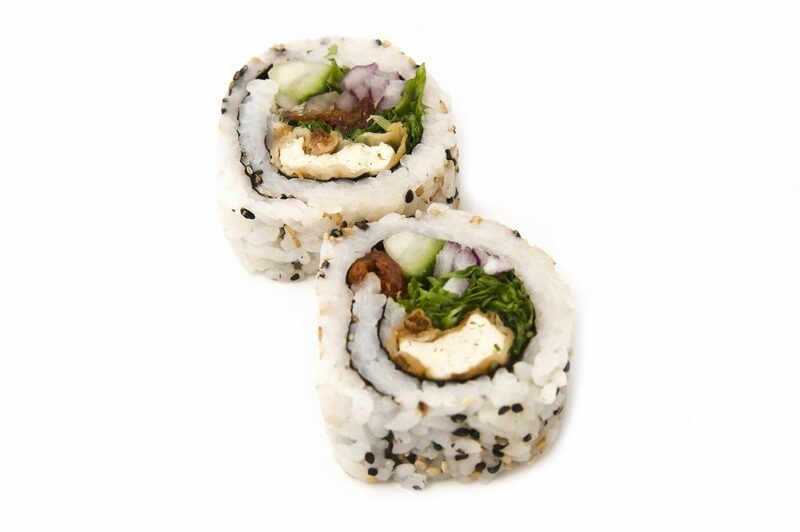 We also have a full range of vegan sushi on offer too. Our vegan sushi is easily spotted on the conveyor belt thanks being placed on distinctive plate colours. If you see a yellow or orange plate, or a wooden bowl work their way around to you then grab them off the sushi belt and enjoy! All sushi on orange, yellow, and wooden plates is vegan. No need to ask staff, and no need to worry about what you’re eating. Additionally, you can always order vegan sushi from the main menu. Sushi restaurants typically grade their plates dependent on price. We are the only sushi restaurant to designate our vegan dishes based on the colour of the plates used. Nothing is more frustrating than a menu that offers vegan food but doesn’t label it, right? 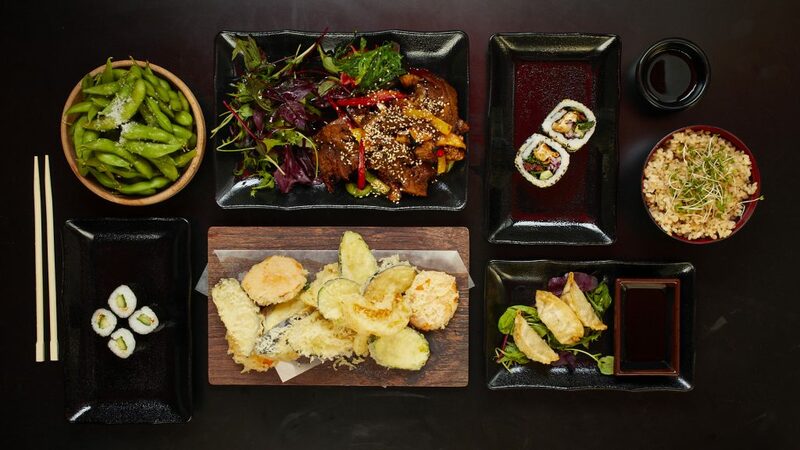 All of our vegan Japanese delicacies, from sushi to bento, are clearly labelled on the menu with distinctive red lettering, so it’s easy to pick out and enjoy. We’ve even created a photographic booklet so that you can identify the food going round on the belt, with information about ingredients and allergens. We recognise that good vegan labelling doesn’t end at the food, however. That’s why our vegan wines and beers are also labelled and there’s always a good selection. 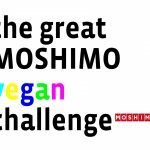 For 9 years now Moshimo has played host to the Brighton Vegan Challenge – a community event where we invite the very best chefs from all over Brighton & Hove to compete in developing the very best vegan sushi in the city. Seeing as Brighton is such a hub for veganism, it could potentially be the very best vegan sushi in the whole world! Because of the huge amount of demand as well as the number of restaurants who’d like to take part, we’ve just changed the format. Our 2019 Vegan Challenge is taking place over 3 separate heats, with a final in September. If you’re a restaurant who’s interested in taking part in future Vegan Challenges, drop an email to info@moshimo.co.uk. 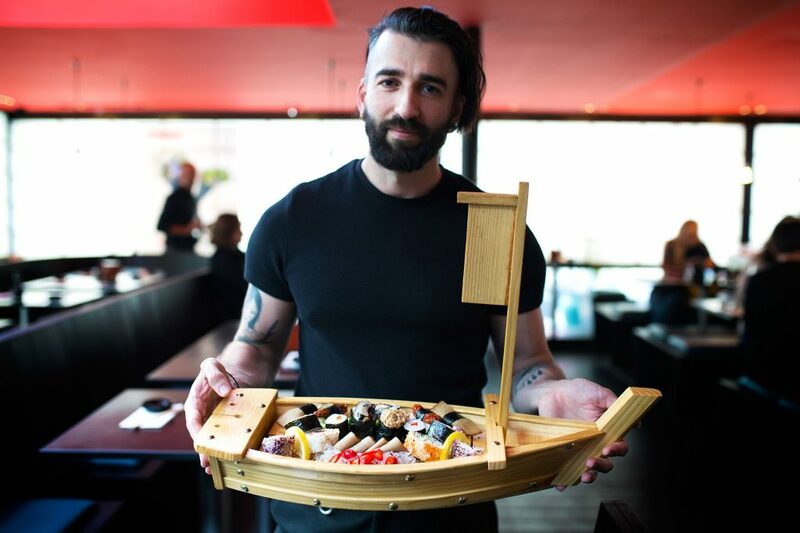 Moshimo proudly works with chefs who are vegan themselves and who better to create fantastic vegan sushi and help us create better options for the future of our menus? We know that vegan chefs are the best people to understand vegan food, and that’s why we get their input for every bit of the menu, from our vegan sushi to our vegan bento. Wednesday is the day when we go into vegan overdrive at Moshimo. Our recently introduced Vegan VVednesdays give you a dedicated evening to enjoy the very best of vegan Japanese food in Brighton & Hove. 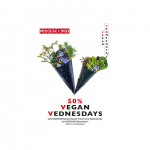 On Vegan VVednesday, we offer 50% off all vegan food to Moshimo Members and three fellow diners. If you’re not a Moshimo Member, you’ll still receive 25% off all vegan food, so why not give vegan sushi a spin? The ultimate vegan sushi feast, you can’t beat our vegan sushi boats. Made with sustainable bamboo, these are packed with a bounty of plant-based goodies from all across the menu, and make an ideal feast for between 2 and 4 people. 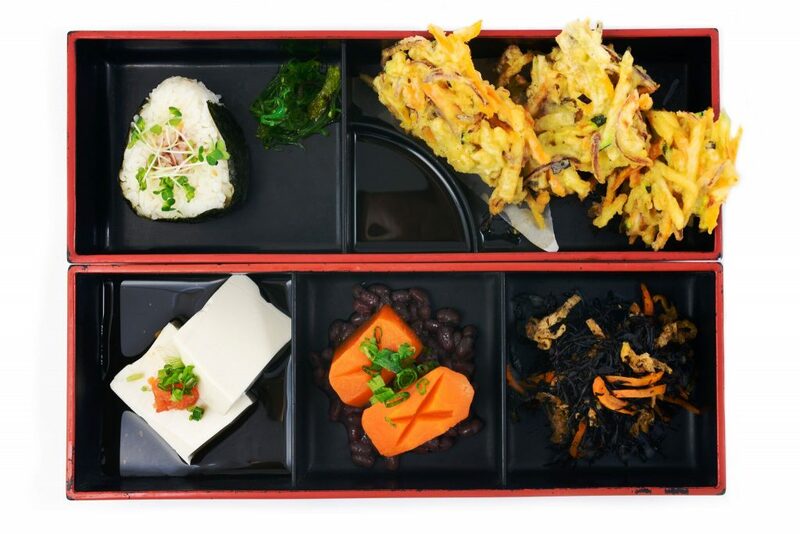 We can help you build your own platter from the ground up, packed with Moshimo classics as well as innovative new twists on plant-based sushi. This really is the A-class sushi experience, and perfect for birthdays and celebrations. Don’t just take our word for it though. PETA approached us and gave us a Proggy Award, given to ventures that are committed to animal-friendly practices. We are one of very few non-vegan companies to receive such an honour, which just goes to show how impactful our vegan food range has been in promoting animal welfare. 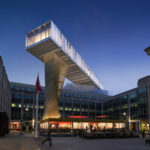 Launched in March 2018, we have been working with Deliveroo to create a special Deliveroo Editions kitchen called Moshimo Vegan. 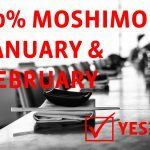 Find all the fantastic vegan sushi and Japanese dishes developed and cooked by Moshimo on one simple to use Deliveroo page. A few clicks or taps on your phone, and have Moshimo’s very best vegan dishes on their way to you in no time. So, there you have it vegan diners. 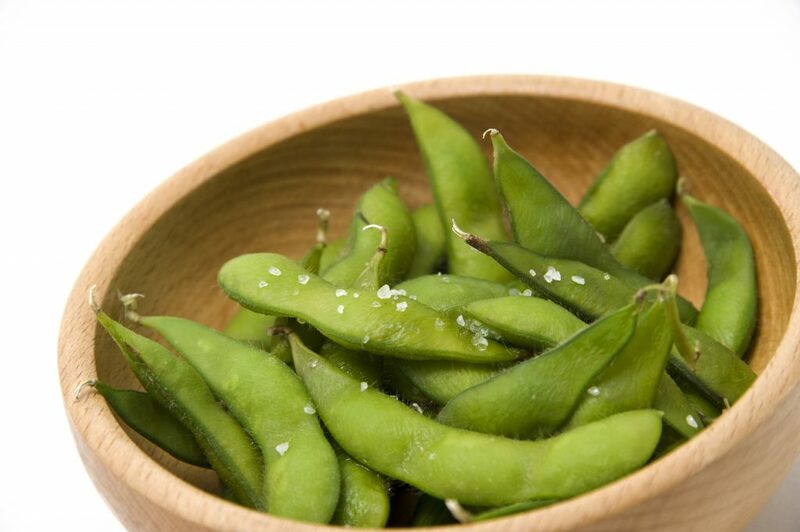 We may not be a vegan restaurant, but we take our vegan Japanese food and vegan sushi extremely seriously, and continue to develop better options for you. 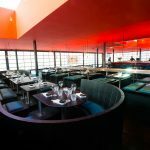 You’ll feel right at home at Moshimo. We hope to see you for a Vegan VVednesday soon, or perhaps at one of our vegan challenge nights. In fact, we’re planning on moving evermore vegan in the future. Watch this space, plant-based diners!